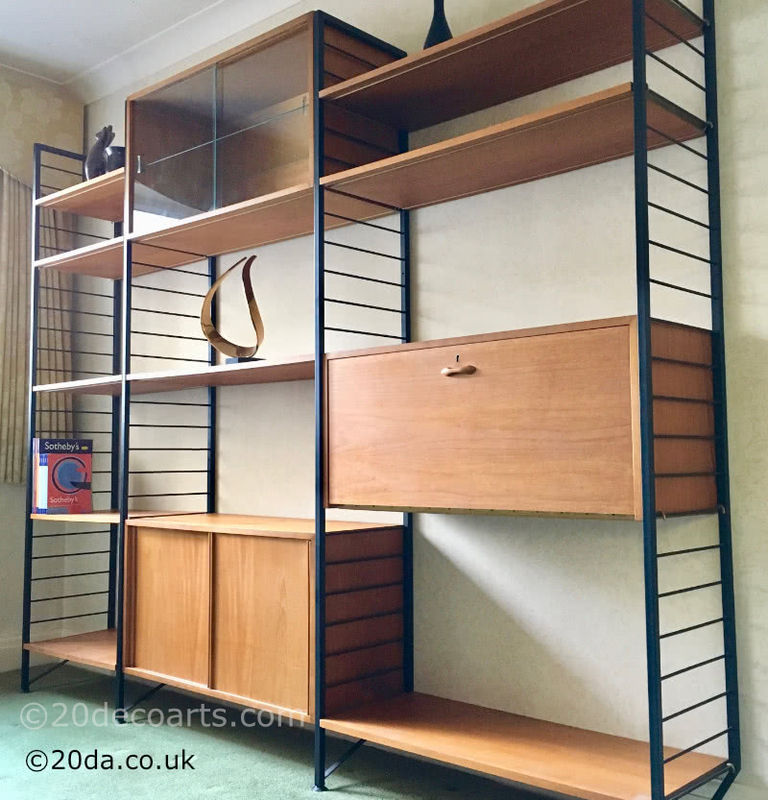 Ladderax shelving system created by Robert Heal for Staples of Cricklewood, London circa 1964. 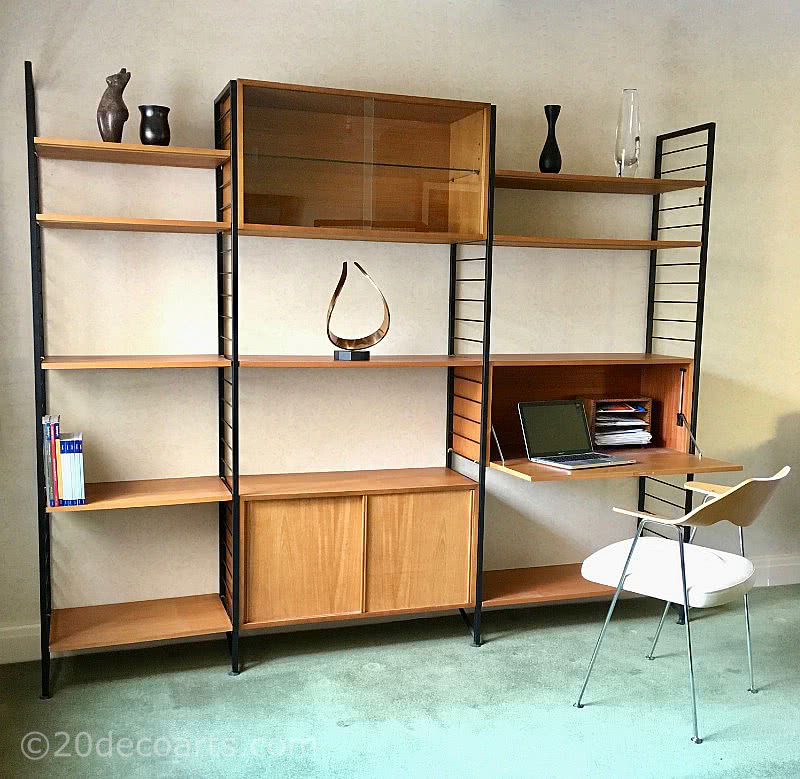 The way it is set up shows a bookshelf section, a storage / display section and a work/ office section but can be arranged in a number of ways to suit. 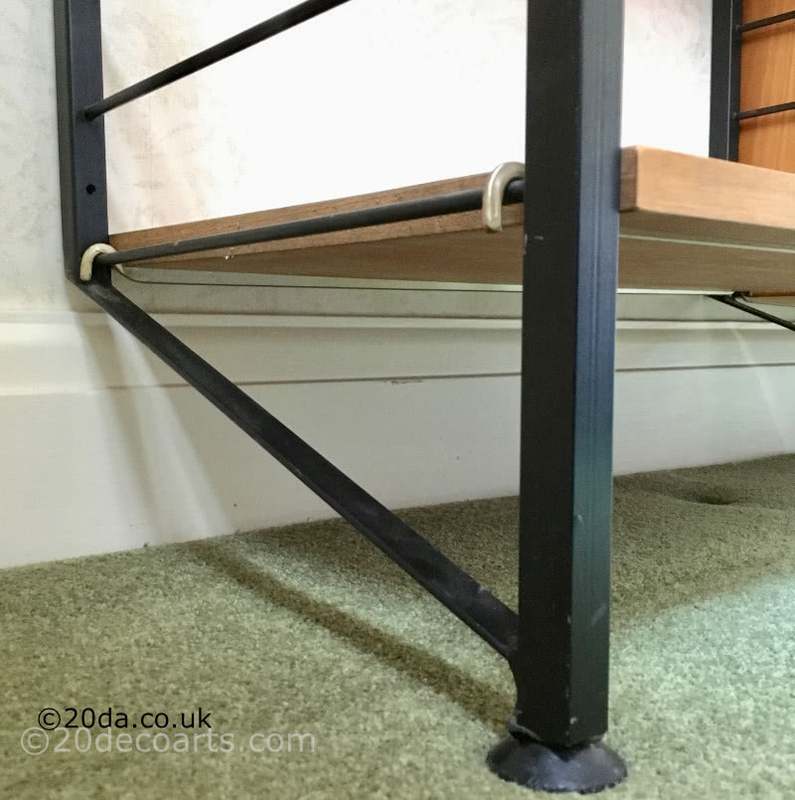 The black finished ladders are wall leaning and fit above most skirting boards. It is in very good original vintage condition, as an original used piece it will show signs of previous use but ready to go back in to a home or office. I do have more black wall leaning ladders and extra cupboards and shelves if you require a larger unit.